In the heart of Inys Nanron, upon the ancient citadel, it rained. The stormclouds had brought a winter's rainfall in a lunar month. Drains filled, lochs overflowed, dams broke and villages were flooded. Across the islands, this heralded woe. The Seal-Men mourned. The boy was brought out before the Circle, ragged and starved. He had not been allowed a word since the priests had taken him - nor had any spoken to him. Drugged by some druidic means, he had missed the voyage. But for the cycle of the moon, as the Order brooded, Astar had been kept deep within their citadel - equally mute rats his only companions. Were it not for his terror, he might have welcomed the company. Tears streamed down the boy's face as he was led by two acolytes into the standing stones. The rain concealed his tears, though not even the broadsworded bloodguards dared to look. He thought a silent prayer to his ancestors - but looking up, only the unceasing rain and crack of thunder answered. Abruptly, he found himself before the priest-kings of the circle, their cold expressions fixed upon him. The old shifter who brought him here was not among them. "This is he? A sorry drowned rat is brought before the council?" "A boy, not-grown, a hunter? We lose time with these distractions." At each statement, his hope faded. But his eyes turned away from the heated words, to the centre of this hallowed circle. In the great pool at it's heart, a monster appeared. A seal of size he had seen only on the beach; with whiskers, and tusks greater than any boar. It stepped to human form, and the boy recognised his captor. "Fools! I bring you prophecy. Can you not see? The signs are foretold. The stars shout danger; the whipmasters toil for new masters. Dark gods drink innocent blood, and the Expedition returns. Yet you sit here on two legs talking as an outsider to the Order." He was answered by one of the other speakers, though Astar could not tell much difference between them. "You speak as an old maid of prophecy, Roanmar. Yet you bring only a dead hero and a scared boy, when our enemies close around us. No seal-man would dare commit sacrifice of our own highest. Not even the Mad. It cannot be true." His captor - Roanmar, the other had said - smiled. A deep, dangerous, smile, before he turned back to Astar. "It must." His hand grabbed the boy's trembling arm. "The prophecy is unclear, brethren. You are correct..."
Steadily, he raised Astar over the pool. "But the ocean never lies. As was spoken by the mad-god, there is only one way to judge. If this sorry child did witness that which must cause the end of Disorder, his ancestors will know. And the prophecy speaks of his stepping unaided, when all eyes are on him. Boy, have you ever stepped, or learnt the Ways?" Astar shook his head, still too terrified to speak. Roanmar was now directly by the pool. "Good. Brethren, see now, the gifts of prophecy! Breathe, boy!" And Roanmar stepped, dragging Astar with him into the depths. The first sound Astar made in months came seconds later, and at his sea-lion's roar, he suddenly saw through his true eyes. Hunter's eyes. There were none among the assembled Shoalmen who had ever seen so much light. Methuophis had been occupied fighting in the city below when the combat between her peers and the Banners had begun, and only ever saw the Crystal Palace in its full glory from afar. It was a regret she feared would haunt her for the rest of her days, the terrifyingly majestic collapse that took away the chance to walk those pristine halls. Despite that, the ruins of the Palace were still massive and easily navigable- and it was still the largest structure that even the eldest Shoalmen had laid eyes on, though the larger Pyramids of Irkazu might have it beaten, now. It was here that many of the victorious Shoalmen made camp, the Banners having gathered what remained of their treasures and departed for the time being to secret chambers beneath the island. Their fires burned high, their songs and boasting echoed through the toppled pillars and half-collapsed passages of crystal, and their family banners and those of the now cooperating factions cast shadows- Despite the destruction visited on it that day, the Palace stood like a dancing beacon in the night, defying the darkness around it and challenging Night itself. While her men and allies celebrated, the victorious captain gave herself over completely to her burning curiosity and wandered the ruins accompanied only by the young storyteller, Nebetta: one of her most valued supporters as well as one of the few who could accurately be called a friend. 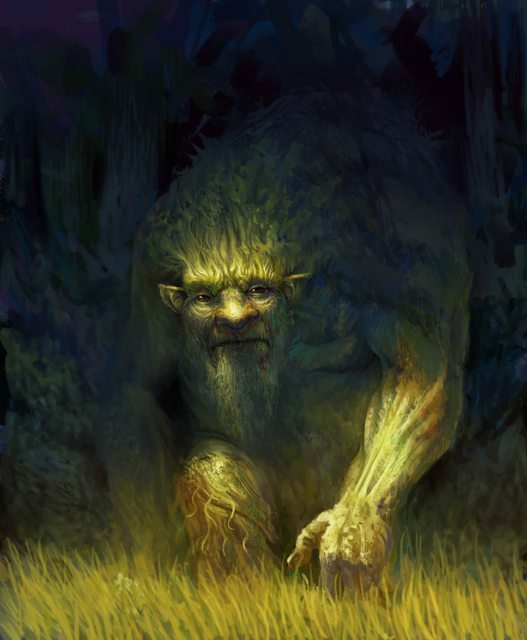 The Shoalman who stood at the head of the group landing on the shore of Inys Nanron, in the lands recently conquered from Skif'au, had been there before. He had killed this island’s warriors, rounded up farmers and their families to sell as slaves, even burned forests and the very fields he found himself walking through to meet with the elders of one of the villages. And today he came here in the name of peace and friendship. It was pretty funny, really. He knew better than to laugh, though. He’d seen the warriors of Inys Nanron in action, including their seal-men, and he understood why those higher up the food chain wanted their support- What was less clear was why the captains were having simple sailors like himself bring their message to these villages in hopes of winning over them and their priest-kings, to have their representatives present next time the Confederacy met. He’d shrugged it off when his shipmates had asked- and they had of course -reasoning that it was a show of humility for the sturdy and hardworking folk, or more likely because they expected that men like him felt more heavily the price of failure. He certainly felt it, in the skeptical stares of the villagers as they told of the offer being made to their people- membership in the Confederacy of Free Peoples, mutual defense against anyone who would attack their islands, trade with the Shoal and their newfound allies. He could understand it, of course. These were people who lived hard lives- they could defend themselves, but why would they want to join in something that for all they knew was only an invitation to get dragged into the troubles of others. A prospect being offered by those who knew little more than rootless, violent lives at that? If that was all they had to offer, he wasn’t sure the trade would be worth it to him if he were in their place. But it wasn’t all they had, and he also saw- or imagined he did –the disgust at being told the horror stories from the lands of the Mayirea after Denython and their allies’ invasion, and the happiness with which they accepted the gifts of friendship- not just food but more tools and supplies to work the land and water of their newly-conquered lands, merely a small hint of the prosperity the Confederacy promised if they became trading partners. The pirate wasn’t sure it would win them over, but for his own sake he hoped it was a good start. In the waters of the Old Shoal, a small fleet waited, an assortment of Shoaler vessels and crystal ships. Few of them came near the size of the ships that had led them there, though, a handful of the high captains’ biremes and the Shoalers’ trireme- the King’s Bane, which were moored near a grouping of reef and small uninhabitable rocks. At that very moment the Shoaler captain Nehmet and his allies, the faction of the Shoal that wished to continue their people’s lifestyle of nothing more than making their living from raiding and the sea, gathered to conduct a ritual that promised to let them do so: a gift from his rival Methuophis to prevent renewed hostility between her ‘Third Eye’ captains and his ‘Red Hands’. Despite being in familiar surroundings, the mood among his loyal captains was tense and few showed the usual Shoaler boisterousness that came with gatherings. Of all the parts of the Old Shoal, the spot they gathered in was held to be an especially disturbing and hazardous place- not just because of the danger to even those ships with experienced crews, but because the scattered, lifeless rocks of this part of the sea was thought to be the remains of an ancient battle between gods. That was precisely the reason Nehmet had come, though. He’d spoken with the wizards of the Five Banners, invited as an equal of his rival who’d established the Shoal’s terms with them. Those ancient sages found the theory plausible, and a perfect place for Nehmet’s half of a gift to the Shoal, the other going to Methuophis, something they promised with time would give him more ships than he’d ever imagine gaining over the rest of his life, and safe harbor in times of trouble. With a laugh he turned from them and cast the seed down into the sea, “Now, enough talking. Bring out that mage, and tell him he ritual begins now. Meanwhile, Methuophis stood on the roots of a similar tree, her gaze following its trunk until it disappeared through the ceiling of the crystal palace and turning to see how its branches and higher roots merged with the building, giving it renewed stability. Behind her, the Healer finished a quiet incantation, testing the malleability of the tree with the Banners’ crystal-shaping. Methuophis offered the Banner a hand with a smile, “It’s a burden I was willing to bear. The sun comes up yet again, and a massive fleet has been gathered on the shores of the Tanum. Thousands of ships from all four corners of the known world, Seal men, Sunkin, Shoalers, Irakzu, Rikimen, Patupaiarehe among the leading positions, and much, much more. The harbor-masters of the Tanum republic, not having big enough harbors to host all of the masses of ships that have descended on their shore, are forced to provide safe locations where the ships can be beached, not even tied to harbor, just having them float off the shore. The night before the battle, the commanders of all the forces gather on a grand fest, many of which know this may be their last one. Treated to the famous Sunking hospitality, they eat, drink and sleep together. Sights like the Five Banners laughing and joking around with Ashipu, fuming Sunkin wrestling massive Shoalmen, various Denython city states drinking with Rikimen and Patupaiarehe alike, Seal and Dolphin shapeshifters race each other in the seas, and laughter fills the night. And in their tents, the commanders scheme. The Kings of the Tripple Alliance sit on the same table with the Five Banners, the Hero-saints and all the Denython lords, they argue, they laugh and they prepare. Maps are drawn, commands given, hands shaken. The Mortals will stand united, just this once. 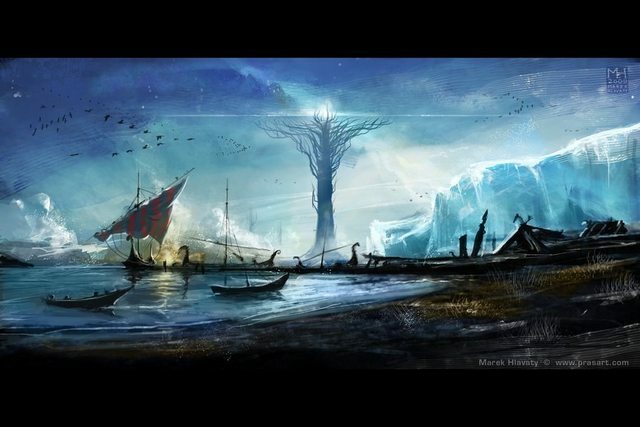 The preparations are not only happening on the isles, as the Crystal Trees, called by most the Towers of Destiny, grow, mages chant and magic flows to the Holy alliance gathered in Tanum. A propaganda campaign flows out of the participants in the alliances, even in The Motu Pokapū, where weapons are rarely seen, can one sight warriors leaving for the islands. In the morrow, the fleet sets sail. Thousands of ships in formation, riding on winds brought by the Five Banners, crystal, wooden, obsidian and all sorts of combinations of the two shine from the decks of the mammoth fleet. In the distance, as the Holy alliance closes the Kaiwhakapareho [the Devourer whirlpool at the center of the south], a massive cloud of storms gathers in the distance. The Farseeer or the Banners is instantly struck with a vision of an endless flying host riding the clouds to meet the fleet. The warriors prepare. The vision gives the Farseer more then she hoped for, she sees thousands of ships, more then what the Holy Alliance had brought, with skeletons steering the ships, ghouls for boarding, and Wraiths that fly 'fore the fleet, as fast attack craft. And in the midst of it all, massive horned, three eyed and hooved beasts, chorts with whips, directing the demonic host. Since the defenders lack any real ability to fight the Savage Expedition in the skies, they hope to draw the fleet to the ground by providing "canals of attack", holes in the defense of the Allied Fleet where the Expedition would be tempted to sail into to board allied ships. While the dark skies descend on the ships of the Holy Fleet, the silence on the board of the ships is broken by a single Denython Ruankuru raising his voice in song. "Tis death! 'tis death! ’Tis life! ‘tis life!" he screams in an ancient language, shared by the people of the world. Inciting first his ship, then then the ships around them and then the entire fleet into the Haka, an ancient war dance, long remembered and treasured. By the time the Expedition plunges towards canals of attack that the Holy Fleet has opened up, stepping into the trap, the war songs and screams had engulfed the entire fleet. The Expedition crashes into the sea, their ships creating massive waves, that are only stopped form overturning the ships around them by a combined defensive chant of the Hero-Saints and the Five Banners, who force powerful magic to stop the waves from slapping the vessels around. In the following minutes, the expedition, seemingly disappeared under the water, explodes onto the scene from beneath the waves, crushing through crystal and wooden ships alike. The battle is finally joined, as the surviving ships descend on the Savage Expedition, crushing through ships' hulls and jumping to fight their monstrous crews. To stop them from doing the underwater maneuver again, the Ashipu jump on-board some of the main Expedition ships and use their own bodies as conduits of magic to tether the Savage Expedition to the water, creating a massive field that neutralizes the flying and underwater abilities of the fleet. Drawing form the Towers of Destiny and the deaths around them, the Ashipu combine blood magic and their own magical powers to do this. Unfortunately, even tethered on the water, the Ghouls and Chorts are still better fighters then humans and non-humans alike, able to take massive damage before they falter, as alliance ships ram into expedition ships, warriors board the ghost fleet and vice versa, and blood, bone and death fills the sea, the battle devolves into a massive slug fest never before seen in the world. 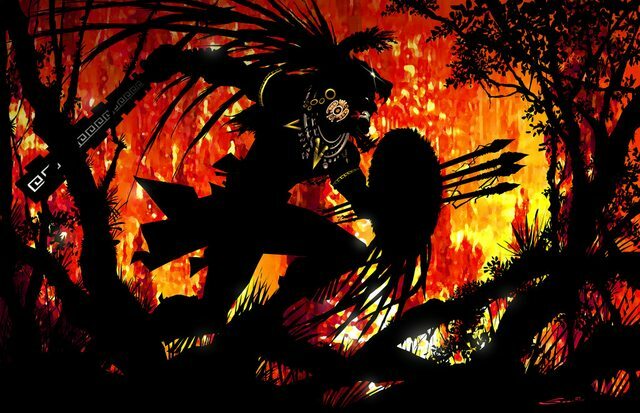 The skeleton crewmen prove pretty much impossible to take out with ordinary weapons, forcing the marines to turn their weapons into conduits of magic for the Five Banners' Wraith, who uses his enormous power to bless their weapons. Wraiths prove to be a monstrous threat, as the fleshy humans find it impossible to hold them down, and they swoop in and pick up crewmen left and right. In the midst of the battle, the Rikimen Emperor notices the Savage Expedition's Capital Ship is nearby, seeing the Chort that commands the entire fleet. He leads a desperate gamble, plunging his capital ship, a massive tree-bark surrounded by smaller ships into the center of the Savage Expedition. He personally leads the charge on board the Capital Ship, with his massive hammer paving the way through the host of demonic spawns, but ultimately, its for naught, as his shrubmen are overwhelmed by the ghoulish crewmen, who manage to kill the Emperor and throw his body overboard, with the King of the Expedition remaining alive. The battle seems to be going bad for the allies, but the result still indecisive as the Expedition seem to have suffered more losses then they could ever imagine. Then, in the midst of it all, riding on the back of Seal-men, a Hero-Saint, Ourá, sneaks up on the board of the Capital Ship of the Expedition, using their magic, Ourá and what seems to be an elite squad of Seal Men, battle long and hard on the deck of the ship. The Seal-men carve a path through the ghouls, already weakened by the Rikimen Emperor, allowing Ourá to reach the King of the Expedition. Seconds later, the capital ship is engulfed with a massive magical explosion, with Ourá and the Seal men sacrificing their lives to literally dismantle the largest ship and its entire crew down to the smallest atom, disintegrating the capital ship and with it, collapsing the heart of the Expedition's fleet. The Shapeshifters of the Seal-men and the Patupaiarehe King together manage to destroy several ships, disassembling them on the water and savagely tearing into their crews from underneath, using the Expedition's own tactics against them. The turning point however seems to be far, until the Banners' Healer, knowing only the sacrifice of a powerful magical being can bring an end to this, since the Towers of Destiny are not enough, a third conduit is needed. In the midst of it all, the Healer floats in the sky, consuming a crystal tree seed, infusing it with his own millennia of knowledge and power and creating a magical conduit in the middle of the battle. In a matter of moments, light engulfs the battle, as a massive tree sprouts in the middle of the ocean, its roots capturing and consuming Expedition ships. This leads to an explosion of power that flows through every wizard and magic sensitive person in the world. The Ashipu, using their entire power to hold the Savage Expedition down, now feel a surge of energy. The Ur'Lord him/herself leads the chants, fusing him/herself with the tree. At their calling, a wave of insects fills the sky, blackening out the sun and heading to the Expedition, consuming their rotting bodies and ships, wreaking the skeleton captains. 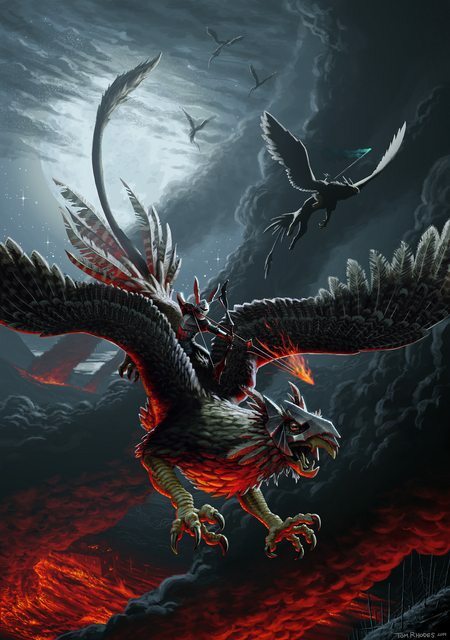 Taniwha emerge from the seas, feeding off the explosion of magical power, ridden by the Children of the Serpents, the King of the Birdmen of Mahayagah leading his Sky Host descends from the skies and a fleet giant Phrimen ship appearing on the horizon. All brought by their friendship with the Hero-Saints and a wave of magic that teleported them to the region of the fighting. All of these descend on the already weathered Savage Expedition, what seems to be the acting King of the Expedition, another Chort, is dragged by a Mahayagah bird squad, and teared apart into a million pieces. An enormous Taniwha devours several massive Expedition ships. The remaining skeleton captains steer their ships towards the Kaiwhakapareho. Letting its water drag them towards its center. As the battle seems to be victorious, the banners Farseer is struck with a vision of a land hiding behind the Kaiwhakapareho, a massive portal from which the expedition emerged. Her voice whispers in the minds of the Ashipu, the Hero Saints, the Blood Mages, the Banners and all the other Ruankuru remaining in the battle, she calls on them to join her chant, as she sees even larger demonic hosts waiting on the other side, drawing power from the three Towers of Destiny, they begin a massive chant that draws away most of the magical power emitted from the trees, locking down the Kaiwhakapareho, so that nothing ever emerges from it. With the portal closing, the Kaiwhakapareho ends its relentless spin, and without the connection to the other world, the remnants of the expedition, held together by arcane magic emerging from the whirlpool, collapse into pieces. - Following the battle, more then half of the Holy Fleet is lost, hundreds of ships lay at the bottom of the ocean, but a new shared sense of victory fills the men and women both human and non human alike. Out of the battle, a peace accord is concluded between the Irkazu, the Tripple Alliance and the Shoal now in charge of the Confederacy of Free People to end the Crystal War. - The provisions of the peace treaty include the remaining ships of the Holy Fleet evacuating Patupaiarehe from the Island of the Cartodons and the Cartodons ending the war with the Patupaiarehe. - Other events include the Empire of Zaiyah meeting with the Shoal, and arranging a defensive alliance aimed at protecting Zaiyah in case of an aggression from the cities of Denython. The Shoel arrives to help evacuate Mayireans from the blasted lowland that remains of their home, where they are intended to be settled is still unknown. - The low levels of the Irakzu pyramids burn, and blood runs along the street as low level skirmishes erupt over the succession of the Ur'Lord which perished in the fighting against the Savage Expedition. 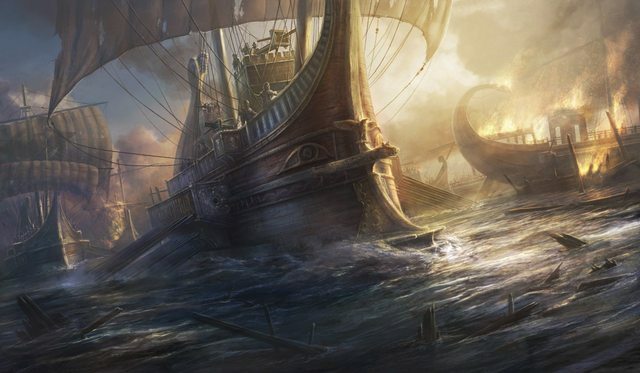 - The city of Asopu in Denython begins laying down a Trireme by hiring foreign engineers and former ship engineers from the Five Banners which constructed the crystal ships to aid in building one great Trireme. They soon discover that their blood magic is ill suited for constructing the complex magical instruments that are the Banners Crystal ships, so instead they begin laying a standard wooden Trireme with magically infused obsidian serving as the base that holds the whole thing together. The Hybrid ship is expected to be sea-worthy next turn. - The lords of Denython agree to send an emissary to Matriarchy of Wa'hine-i-Roto to request an alliance between the two. While the Matriachy is fine with communicating with Denython and even trading, they are not happy to participate in an alliance with the patriarchal Denython, so they decline. - The city of Berlu begins attempting to recruit Force Marksman and other troops, only to find that their pool is rather limited, seeing as how everyone who can be pressed into service more or less already is. So they begin pressing slaves into service, promising them they will win their freedom back if they serve. This causes questions in Asipu, with the main outside force defeated in the face of Mirae, why is Berlu expanding its land forces? The city lords in Asipu start talking about a Berlu militarization and fear an invasion from the city state. - In the lush forests of the Riki Empire, the Rikiman gather around to vote in a new Emperor, the Council of Elders votes on a cousin of the previous Emperor to take the Throne of Thorns, in an ancient ritual he enters the forest and disappears for weeks, finding his way through the shrub to the poisoned thorns of the Pantheon of the Shrubmen, who imbued him with the power necessary to lead the Riki Empire. He emerges naked, but more powerful then ever. - The deity of the Mayireans that was previously chined up is found by a squad of Denython fighters and Death Seekers, it is week and destroyed, it barely lives. The Denython fighters attempt to revive it, but their blood mages realize the god is too far good and will die soon, turning the territory of Mayirea into a blasted wasteland, even more then it is now. In its last hours, the God gives the Denython its Heart, a green stone with the ability to create life in rather limited manner. The city lords immediately start fighting over which city will get it. - Another expedition of Berlu city soldiers is sent to find refugees and Mayireans who will be helped, only to venture further into the blasted destroyed landscape and to find that nothing remains of the island but a rock and thousands of not millions of dead bodies, whatever refugees had escaped to Berlu and Asopu where the Sheol picked them up, were the last people alive coming from Mayrea. The land is now filled with monsters, various soulless husks and abominations. The expedition returns quickly after they are ambushed by monsters. - The Denython seem to be nearing a civil war, as Berlu and Asopu city lords fight over ownership of the Life Giver Heart.